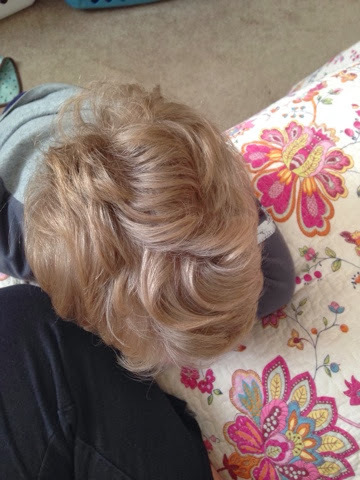 Guys, I have no idea what I'm doing when it comes to Little Man's hair. No. Idea. I didn't do enough research on curly hair when he was young. 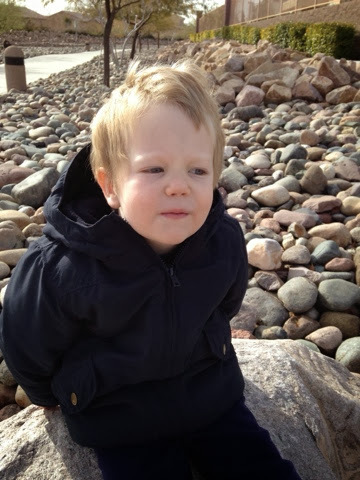 (Hydration was the key and I bungled it bigtime) Then I thought he could just have regular boy haircuts. Those have been expensive and very spotty. Not even the professionals know what to do with his head. I had resolved to let him grow it out. See what would happen? I know growing short to long was a difficult process, but this is downright painful. I feel like I'm doing it wrong. And it looks like we may be doing a bit of a photo shoot next month. Heeeelp me. Is there any kind of product I can shove in that mess that will make it look bouncy and curly for just a few hours? It's incredibly course and thick. I use leave-in infusium on it, which makes it feel less like straw, but this is what we're dealing with. 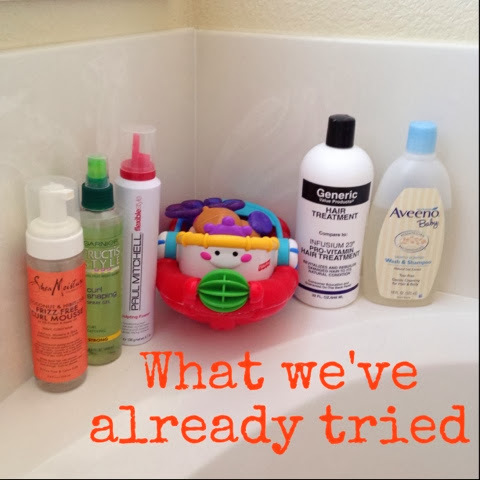 We've tried an assortment of products. He's also highly allergic to a lot of chemicals so I have to keep that in mind. He can only tolerate baths with the Aveeno wash. The only successful bit so far has been the (generic) Infusium 23, but I need some more ideas. People with curly hair: I NEED YOUR GUIDANCE. The worst has been the Garnier Curl Shaping Spray Gel. Awful stuff. Then the Paul Mitchell Sculpting Foam had no effect at all. The Shea Moisture Frizz Free Curl Mousse wasn't bad, but only made a dent in the rough texture. Please & thank you for your assistance. How often do you wash his hair? Could you stand to only wash it once a week and rinse w/water and/or conditioner the rest of the time?